Nestled at the rear of the sixth level hall at PAX Prime 2014 was an impressive-looking booth that was showing off a visually-striking game. I was immediately drawn to it thanks to the beautifully animated arctic fox that zipped and jumped across the screen with a little girl who was dressed for much sunnier climes than what was being enjoyed outside the expo hall in Seattle, WA. 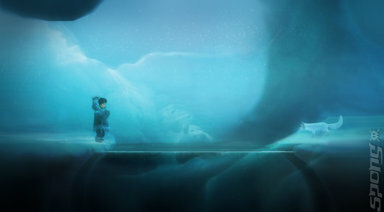 The game in question was Never Alone (Kisima Ingitchuna) and it is one that has a rather unusual background with regards to its development. Upperone Games and E-Line Media came together with the Cook Inlet Tribal Council to make a video game about stories as told by the Inupiat people, who are one of the seven tribes that reside in Alaska. These accounts that have been handed down for many generations over thousands of years. Never Alone (Kisima Ingitchuna) is the product of this venture. It tells the story of an endless blizzard that is threatening the survival of the Inupiat and only a little girl and her arctic fox friend, known simply as 'Girl' and 'Fox' can bring an end to it. Girl can manipulate machinery such as levels and pulleys as well as swing from ropes. Fox is fast and can climb walls vertically. By using the combined talents of both of these characters, the player can overcome the seemingly insurmountable odds that are presented to the pair as they traverse through the Alaskan wilderness. All in the hope of finding the cause of this ceaseless blizzard and bringing it to an end. 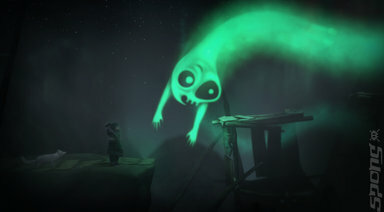 Never Alone (Kisima Ingitchuna) is not unique in terms of its key concept of two characters having a symbiotic relationship with one another. One has a set of skills the other does not have and as separate entities they are not nearly as powerful as when they work together. Brothers: A Tale of Two Sons demonstrated this perfectly well, as did Head Over Heels before it. What marks out Never Alone (Kisima Ingitchuna) over those games is the rich world that it inhabits. For unlike the other games mentioned, Never Alone (Kisima Ingitchuna) is set in Alaska and not some imagined realm. It is based on the stories of those who have lived there for millennia and this adds a great deal to the experience when playing it. 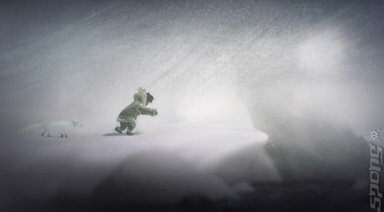 Never Alone (Kisima Ingitchuna) is due out in Q4 of 2014 and will appear on the PC, PS4 and XBox One. PAX has a tradition that has been running since I started attending - the 'media hour'. This is a part of the show where they let all media representatives into the expo hall one hour earlier than everyone else. This happens on the first day only and is the only time I'll get to see anything without actually waiting for someone to get off the demo pod. Why am I telling you about this? You're here to read about Ori and the Blind Forest not some blog about PAX. Well I'm trying to illustrate to you that this time is very precious and it has to be spent wisely. So as I dashed from one booth to another I spotted a lone Xbox One demo pod that was running Ori and the Blind Forest and I was transfixed. Ori and the Blind Forest is, at first, a visual treat. Then you get to play it and it's even better than it looks. 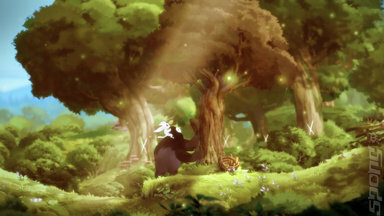 Ori and the Blind Forest is a 2D action adventure game in the now infamous 'Metroidvania' mould. The player takes on the role of a forest spirit who must venture through the realm it finds itself in while trying to discover its place within it.